We all know the roof is a vital part of every home. Aside from providing us with shelter, the roof is one of the most visible parts of your home exteriors, making it an important aspect in your home’s curb appeal. In this two-part blog series, we focus on what makes for a high-quality roofing system. That’s why when it comes to your roofing in Schererville, IN and the surrounding areas, make sure that it is installed by a true professional like Rogers Roofing. Since 1968, we have been operating in areas around Illinois and Indiana. That’s more than four decades worth of providing homeowners with top-of-the-line roofing products and services. 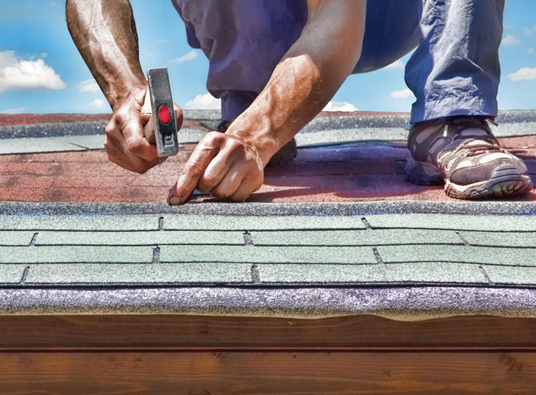 Asphalt shingles are the most popular type of roofing for homes. In fact, these comprises a little over 80% of the residential roofing market. Apart from the low cost, asphalt shingles are beautiful and aesthetically versatile. These come in various colors and textures, allowing homeowners to choose a design that would work well in different home designs. Asphalt shingles are also durable, as these can withstand different climates and last up to 20 years. Rogers Roofing offers asphalt shingles made by CertainTeed, one of the premier manufacturers of asphalt shingles in the country. Their innovations in complex color blending technology and multi-layered shingles, also known as architectural or designer shingles. In addition, CertainTeed products are also known as among the toughest roofing products there is, providing outstanding protection against any climate. These are known for their toughness. In fact, concrete tiles can withstand storms that would tear up other roofing materials. These can also resist extreme heat and strong winds, providing you and your family excellent protection against various elements. In addition, concrete tiles can be made to look like traditional clay tiles, wood shakes, or slate. These also come in a wide array of colors, making concrete tiles an aesthetically versatile roofing material. Rogers Roofing offers concrete roof tile manufactured by Vande Hey Raleigh, one of the most trusted names in concrete roofing in the country. Vande Hey Raleigh also includes a limited lifetime warranty. When it comes to roofing companies in Northwest Indiana, Rogers Roofing is one of the most trusted. We provide services for residential and commercial roofing. Get in touch with us to have the high-quality roof that your home needs. Watch out for the second part of this blog series, where we talk about common roofing issues and their solutions.